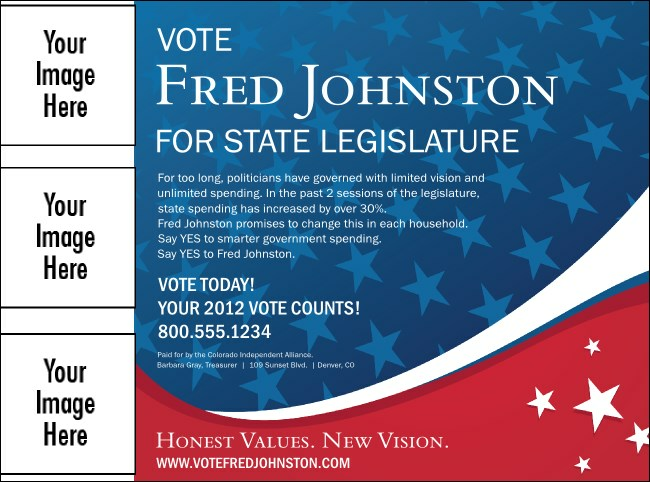 Let your message soar with the dynamic, uplifting design of this Patriotic Vote Flyer. Illustrated in red, white, and blue with stars and stripes, this landscape-oriented political Flyer features space for you to upload three of your own custom images to the template, just right for candidate head shots or organizational logos. Take it to the streets with Flyers from TicketPrinting.com.